Ocean Blue is a basic, waterfront Kiwi bach located on a very large lawn overlooking the beautiful Bland Bay. Dolphins are regularly spotted in this horseshoe shaped bay with blue water and sparkling white sand. Bland Bay is a safe swimming beach and great for kayaking. Perfect for families and small groups of friends looking for a special location to holiday, this open plan bach comfortably sleeps up to 8 people with a queen bedroom downstairs, a double bed upstairs with 1x single with pullout single and another room with 4x single beds. Enjoy relaxing on the deck (with BBQ) or play games on the large lawn that merges with this gorgeous white sandy beach. Take a stroll along this beautiful beach which is dotted with Pohutukawa trees – simply stunning in full bloom. Launch your boat nearby and take advantage of this fishing and diving paradise. Please be aware: Bland Bay is a D.O.C Conservation Area - dogs are not permitted on the beach. Large flat lawn. Strictly no camping. Plenty of Boat Parking. Boat launching from the beach only. This is a pet friendly property. Please let us know if you are bringing your pet and there is an additional charge of $50+gst per pet per stay. Great location, great facilities great service with an issue, BUT the bed downstairs in unit 2 is absolutly shocking. The biggest let down, still suffering from a sore back. We had a great stay that you so much for having us. We enjoyed everything about this house it was just what we needed. The one thing I would suggest if it's ever a possibility is maybe a second bathroom and toilet. If more people do stay. Great bach, clean and has everything you need. Beach on your door step. We are looking forward to coming back again. The property is located in a perfect spot on beachfront. There are no shops in Bland Bay. The nearest shop is located in Oakura Bay which is approximately a 30 minute drive which has a small shop for groceries, a takeaway bar, a fishing and tackle shop where you can also fill up dive bottles. Helena Bay Cafe and Art Gallery is located near Oakura Bay and does great coffee! 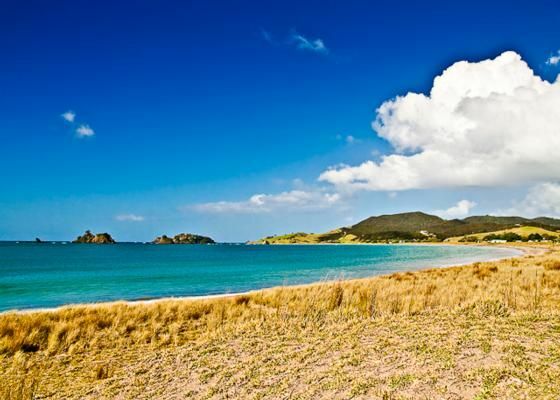 We suggest to stock up on groceries and items in Whangarei before heading north to Bland Bay.